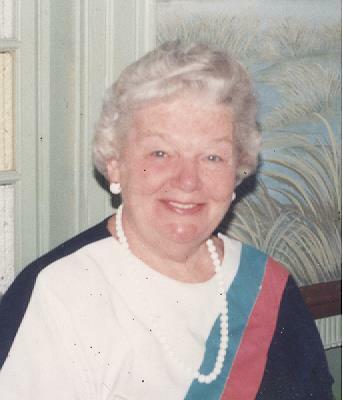 Lister, Ann M., 92, wife of the late Howard L. Lister and a lifelong resident of East Providence, died peacefully on April 4, 2019 in Bristol, RI. She was born in East Providence, RI, on November 5, 1926, the daughter of the late John F. Dwyer and Anna L. Unsworth Dwyer. After graduating from East Providence High School in 1944 she was employed as the personal assistant to Dr. John J. O’Brien and in later years after her family was grown was the secretary of St. Brendan’s School and later St. Margaret’s School in Rumford where she worked for many years. Mrs. Lister was a former member of St. Brendan’s Rosary & Altar Society, Hamilton House and the Forever Young Club. She enjoyed playing bridge and volunteering at St. Brendan’s Church. She is survived by three of her children, Richard A. Lister of Richmond, VA; Maureen A. Crisafulli (Gene) of Swansea, MA and Nancy M. Rehor (Charles) of Prudence Island, RI. She was the mother of the late Marilyn E. Costa (David) of Riverside, RI and the sister of the late Capt. John F. Dwyer, EPPD. She is also survived by five grandchildren; Matthew Rehor, Jennifer Rehor, Richard Lister II, Audra Costa and Rachel Brocklesby. Her Funeral will be held on Monday April 15, 2019 from the W. Raymond Watson Funeral Home, 350 Willet Avenue, Riverside at 8:45 a.m. with a Mass of Christian Burial in St. Brendan’s Church, Turner Avenue, Riverside at 10 a.m. Burial will follow in Gate of Heaven Cemetery, Wampanoag Trail, Riverside. Calling hours and flowers are respectfully omitted. Contributions in her memory may be made to Big Brothers Big Sisters of the Ocean State, 1540 Pontiac Avenue, Cranston, RI 02920. Doreen Smith Pierce and family. My heartfelt sympathy on the loss of your dear mom. I remember her wonderful laugh and our great years on Burton Ave. You and your families are in my thoughts and prayers. My deepest sympathies on the passing of your beloved mother. My thoughts and prayers are with you all at this time.